This Road Trip In Northeast India Is The Journey Of A Lifetime. Know Why! 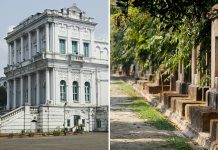 Escape to Northeast India, where pristine landscapes take you inside a Jane Austen novel. By Divya Behl and Vikas Plakkot. Guwahati may not have the obvious charms of a Parisian honeymoon, but an evening sail on the orange-hued Brahmaputra may just hold the je ne sais quoi that you need to kick-start your romantic getaway. Put your luggage away in the hotel and head down to the river to hop on the ‘Alfresco Grand’. As the cruise-liner struts along the river and the sun begins to set, stand on the deck, pour yourselves a glass of champagne each, and toast to a truly unique holiday. At least this is how we began our holiday—a road trip in Northeast, through three of the seven sister states. We ended our day by retiring early, garnering some much-needed rest for the long road ahead. 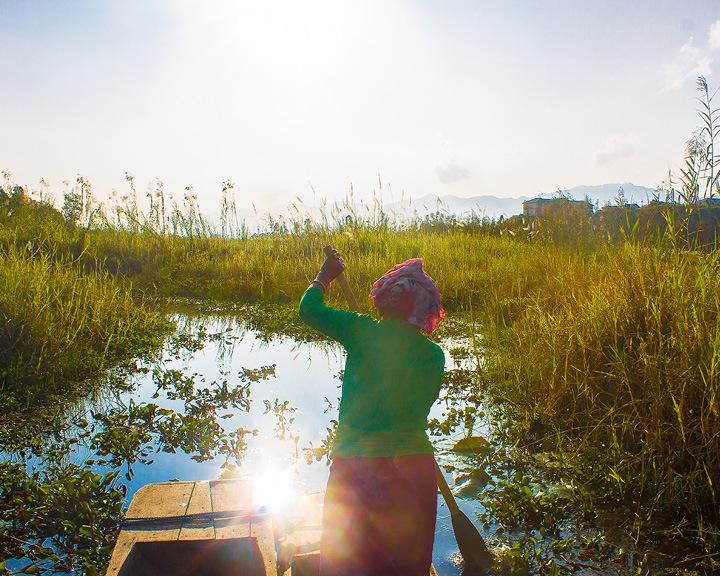 Loktak Lake in Manipur is home to the only floating National Park in the world. Our road-trip route was a long one, flush with both—well-laid roads and back-breaking ones. 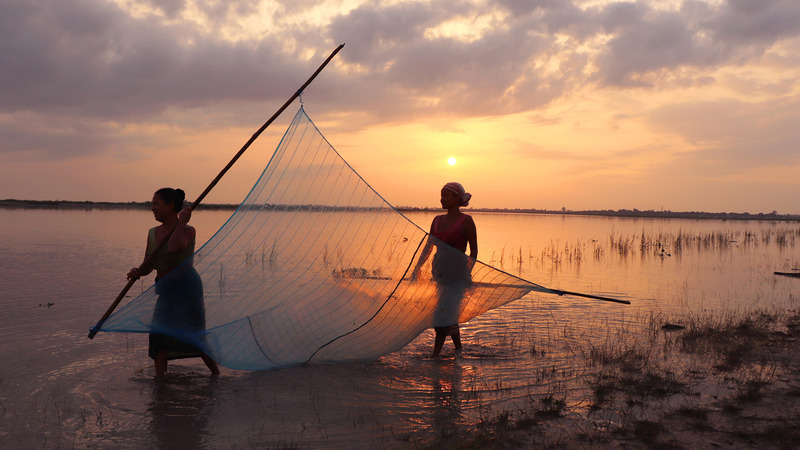 From Guwahati, the drive to Majuli takes slightly over seven hours. Hit the tarmac and cruise at your own pace for the first four hours, savouring the freedom of the open road, before arriving at Kaziranga. 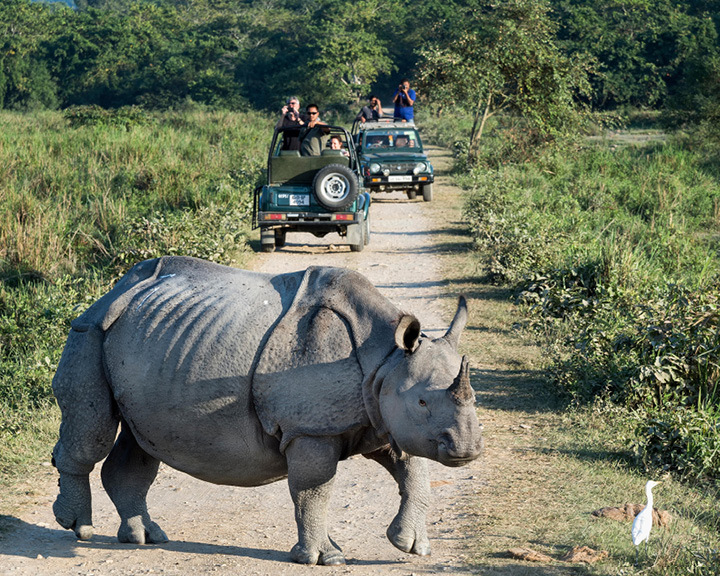 It’s the perfect first stop to get a dose of Assamese hospitality and rendezvous with the National Park’s famed one-horned rhinos. Surrounded by rolling tea gardens, you will find the privacy and peace you need at IORA Retreat, a large property near the National Park. 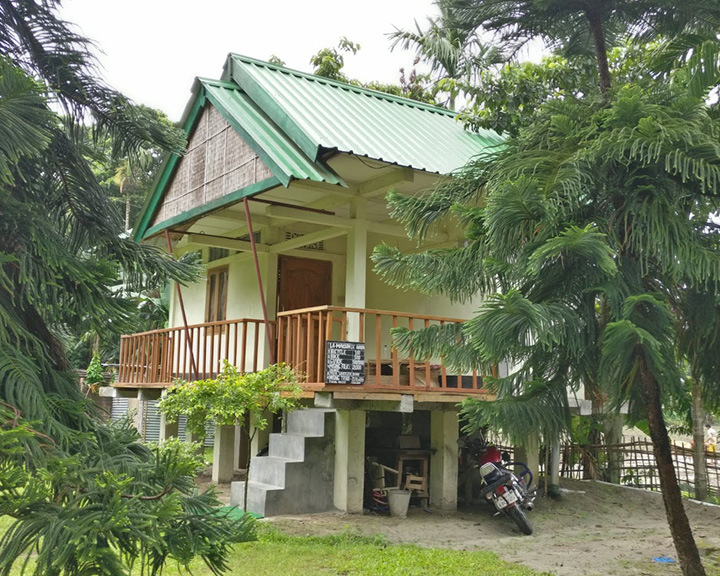 From long walks through tea gardens with no phone calls to kill the mood (thank the lack of connectivity), to sharing a cup of Assamese tea on your private balcony, the property offers tailor-made settings to couples seeking quality time together. Add the thrill of spotting rare wildlife to the mix, and you’ll feel like characters in a book. After a couple of nights in the wilderness, get back on the wheels to drive towards Jorhat. It’s another four hours by road, so put on your favourite songs and let the stunning vistas en route take over your senses. Once you reach, it’s time to park the car for a couple of nights at the dock and hop onboard a ferry that takes you to the biggest river-island in the world—Majuli. Washed by the confluence of the Brahmaputra and its branches, the river-isle is slowly eroding away. The ferry ride gives you a peek into the daily life of the fishermen and fisherwomen who conduct their livelihoods on rocky boats, as birds swoop in on prey in the water. The island itself teems with greenery and is a sight to behold. You can spot the one-horned rhino at Kaziranga National Park in Assam. immersing yourself together in the lifestyle of a new place and a unique community. As our island days ended and we left Jorhat for Nagaland, the roads underwent a severe transformation. Treading bumpy dirt roads can be an acid test for a couple that intends to go the distance—a test of patience, resilience, and mutual will to see the tough times through. While the distance to Kohima is a touch under 200 kilometres, the journey is likely to take close to 10 hours, ideally broken at Dimapur for a night. La Maison de Ananda on Majuli island is a humble abode with warm hospitality. After a rather arduous journey, a night at the Niraamaya Retreats Aradura in Kohima couldn’t have come fast enough for us. Tuck yourselves in the luxury of the wellness property situated in the countryside surrounding Nagaland’s capital, and feast on authentic Naga meals here. When you’re fully rested, head to the Dzukou Valley, a jewel of the Northeast. Walking into the panorama of the surreal green hills is akin to entering a dream. If your bedside photographs need a redo, look no further than this valley for memorable frames. An hour’s ride from the capital, the valley is easy to reach and involves a steep climb for 45 minutes, followed by a two-hour breezy walk on flat terrain. bonfire, lie down on the grass next to each other, and if the heavens will it, count the shooting stars in the sky. 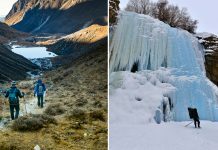 In the wee hours, just before the sun rises, a trek down to the bottom of the valley is recommended—especially in winter when the river is frozen. journey. 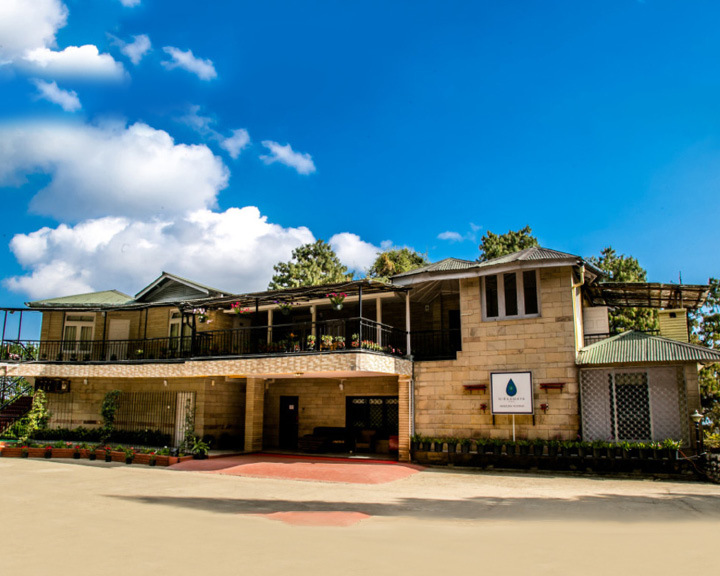 Check into Sendra Park & Resort, situated on hills overlooking the gorgeous lake. The unique waterbody hosts the world’s only floating National Park—Keibul Lamjao—where the phumdis (floating masses of vegetation) and the sangai (deer) draw tourists from across the country. Niraamaya Retreats Aradura is nestled in the countryside, in Kohima. When the lake is moonlit, take a boat ride on its tranquil waters. In the depths of the night’s silence, broken only by the sound of the oar, the boatmen often break into folk songs. Set some time aside to visit a local family, go fishing, and share a staple meal of seafood. 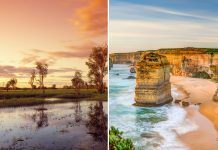 In today’s world of speed-dating and weekend getaways, long and languorous road trips hold a charm of their own. We understand each other truly only amidst the foreign and the unknown. A cruise through the Northeast—a region unspoiled by tourism so far—not only serves to bring you closer to each other but sparks a new brand of romance. (zoomcar.com). Rentals start at `2,000 per day, plus fuel. Organise the trek to Dzukou Valley with ChaloHoppo. On the Brahmaputra, book a romantic sunset package onboard the Alfresco Grand.